Luxury midsize SUVs are usually powered by huge, muscular engines that emphasize their sporty pretentions. On the 2018 Porsche Cayenne, you can opt for the twin-turbocharged 4.8-liter V8—which produces 570 horsepower and 590 lb-ft of torque—to maximize power. On the 2018 BMW X5, you’d need to upgrade to the top-level xDrive50i model to get the most power out of it. And even at that level, the engine is a smaller, 4.4-liter twin-turbocharged V8 that produces 445 horsepower and 480 lb-ft of torque. At 125 less horsepower and 110 less lb-ft of torque, the X5 engine is vastly overshadowed by the Cayenne’s V8. The engines on the 2018 Porsche Cayenne also prove their level of functionality in providing effective acceleration. With the engine glued to an 8-speed automatic transmission with a Tiptronic shifter to mimic manual gear shifting, and using a front-engine all-wheel-drive layout, the 2018 Cayenne can go from 0 to 60 mph in a blistering 3.8 seconds, and it has a top speed of 176 mph. The aforementioned 4.4-liter V8 engine choice on the BMW X5 is also joined to an 8-speed manual gearbox-mimicking automatic transmission. However, the acceleration numbers are not as impressive; the 4.4-liter V8 enables 4.7 seconds in 0-60 mph time. More so than the 2018 BMW X5, critics are impressed with the quality of the 2018 Porsche Cayenne’s interior. Fit and finish is solid, and high-grade materials are used to construct the cabin. And the interior can be further refined with options such as aluminum accents, carbon fit trimmings, and natural-olive or yachting-mahogany wood inlays. Ready to check out the 2018 Porsche Cayenne for yourself? Convinced that it is a better buy as a luxury-oriented midsize crossover than the 2018 BMW X5? 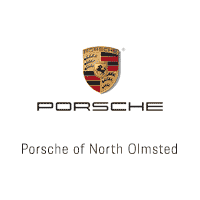 Call us today to schedule an appointment for a test drive, and one of our Porsche specialists will be able to assist you in buying the Cayenne that fits your preferences.